We’re proud to be recognized year in and year out for our quality work and commitment to safety. Here are a few of the awards we’ve received over the years. In recognition for their continuing commitment and dedication to maintain an exemplary health and safety system and for creating a unique business culture of safety behavior for the prevention of injuries and illnesses in the workplace. J&M Steel has received this award regularly from 2012 to 2016. 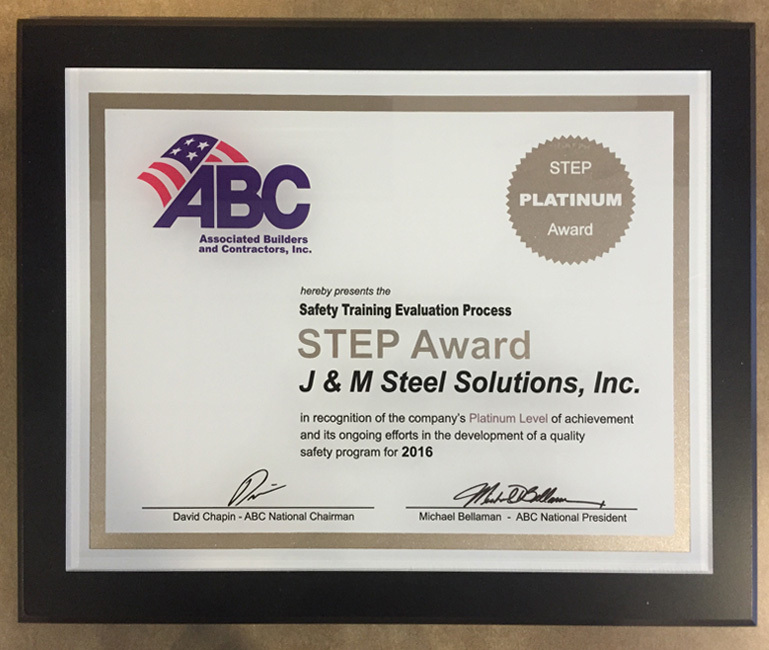 Safety Training Evaluation Process STEP Award in recognition of J&M’s Platinum Level of achievement and its ongoing efforts in the development of quality safety programs. 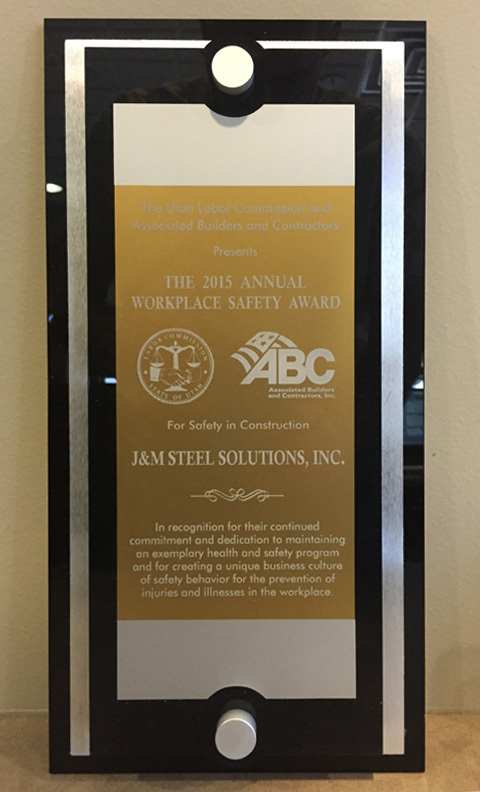 Few contractors earn the Platinum Level of the ABC STEP award. Considering the EMR restrictions, it is very likely the highest award a steel erector can achieve. “The growing number of high profile mining accidents worldwide, makes a database of compliant contractors and suppliers more valuable to mine operators than ever before. Obvious concerns to ensure the safety and well-being of those on site have taken on greater urgency as government entities such as MSHA institute stiff fines for anyone operating out of compliance. And MSHA has raised the bar in recent years with Criminal Penalties.